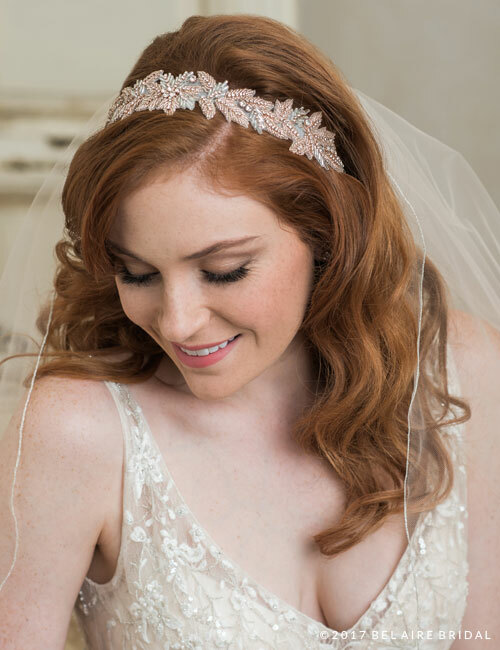 Bedeck your hair with a shimmering headpiece. 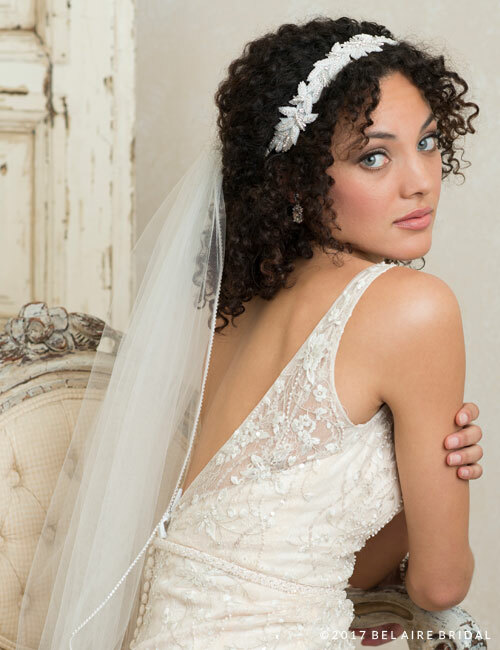 A nature-inspired design of intricately beaded leaves sparkles on an organza tie headband. This style may also be worn as a belt. Available in ivory or rose gold.